A. 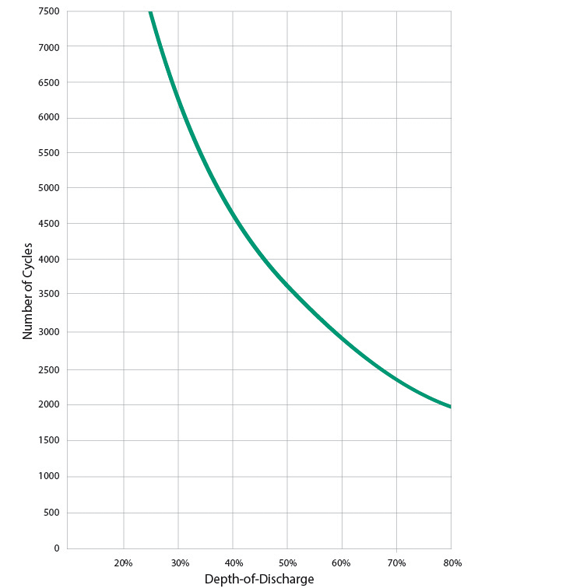 The amount of amp-hours (Ah) a battery can deliver when discharged at a constant rate at 86°F (30°C) and maintain a voltage above 1.75 V/cell. Capacities are based on peak performance. B. Dimensions are based on nominal size. Dimensions may vary depending on type of handle or terminal. Batteries to be mounted with .5 inches (12.7 mm) spacing minimum. C. Dimensions taken from bottom of the battery to the highest point on the battery. Heights may vary depending on type of terminal. Having installed Trojan batteries over 10 years ago for my own solar system, they continue to outperform, exceeding my expectations. I choose Trojan batteries because they are durable and easy to maintain.